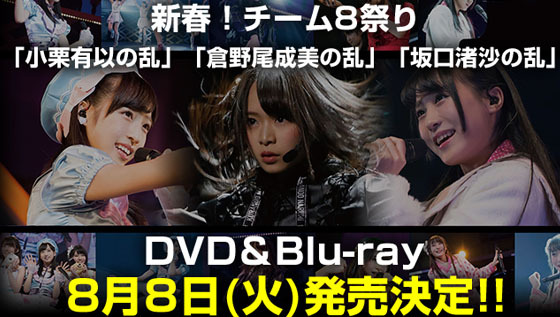 AKB48 will release DVD/Blu-ray for AKB48 Team 8 solo concert "Shinshun! Team 8 Festival" which held in TDC Hall in spring 2017, the digest video is revaled on official YouTube channel. AKB48 will release DVD/Blu-ray for their Team 8 members' solo concert in TDC Hall in spring 2017, the 3 concerts of "New Year Team 8 Festival at TDC Hall~ Solo Concert of Oguri Yui, Kuranoo Narumi and Sakaguchi Nagisa." will be combined in 1 set DVD/Blu-ray and released on 8 August 2017. 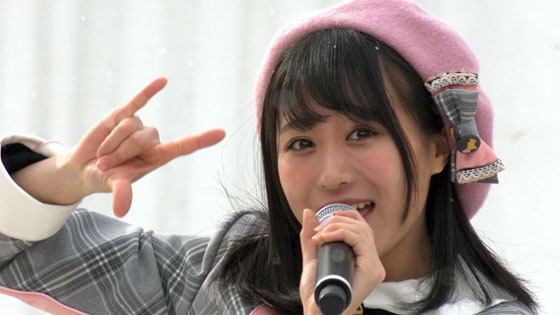 AKB48 Team 8 member Sakaguchi Nagisa participated The Sapporo Snow Festival in Sapporo, Hokkaido on 12 February 2017, the Sapporo Snow Festival is one of Japan's most popular winter events. AKB48 Team 8 members Kuranoo Narumi, Sakaguchi Nagisa and Oguri Yui held their solo concert in Tokyo Dome City Hall on 14 January 2017. JIJIPRESS has uploaded the digest video on Youtube.